Our bladders are controlled by ramified peripheral nerves that originate in the spinal cord. If there is injury, trauma or disease of these nerves or spinal cord, our bladder control may be negatively affected. For this article, we will focus on incontinence as a result of nerve damage (Neurogenic Bladder) and the different surgical and non surgical options available. The bladder is made up of muscles that coordinate to relax and contract for urination. If this critical motor function is lost, the bladder will have great difficulty to perform micturition and may even cause retrograde flow of urine back to the kidneys which can cause serious complications. Two very important muscles for proper bladder function are the detrusor muscle located in the bladder walls and the urethral sphincter located towards the bottom of the bladder. These two muscles work together during urination but when they encounter coordination issues the result is known as Detrusor Sphincter Dyssynergia (DSD). This faulty behavior is especially prevalent in multiple sclerosis and spinal trauma patients. During urination, the urethral sphincter should be relaxed so as to allow a smooth output of urine but when it is in a state of dyssernergia, it contracts when it shouldn’t do so and this causes urine outflow to cease and intra-bladder pressure to rise. The result of this faulty mechanism where the detrusor muscle and urethral sphincter lack coordination as a consequence of nerve damage is called Neurogenic Bladder. Eventually, the urethral sphincter loses its ability to stay shut or open when needed, thus causing urinary incontinence. Urinary Incontinence – lack of bladder control could be overactive or underactive bladder. In the case of an underactive bladder, increased urine retention is followed by an increase in bladder pressure. If a strong enough pressure is reached inside the bladder due to too much urine, there is danger of urine back-flowing into the kidneys causing hydronephrosis. High frequency of urination with low output volume. Disturbance in the ability to sense a full bladder. Unwanted urine leakage or “dribbling” of fluids. The management and treatment for Neurogenic bladder will be based on many variables considered by your health care professional, these include your age, tolerance to certain medications, the actual cause behind the bladder’s neural incoordination, severity and type of symptoms as well as the expectations of improvement present in any treatment. 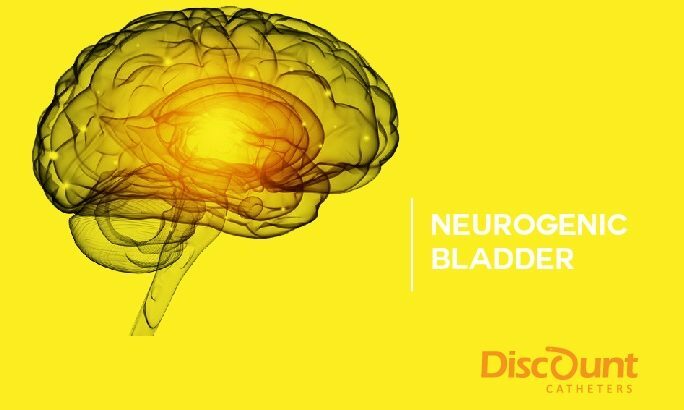 In most cases, lifestyle changes will also influence the outcome of neurogenic bladder. Kegel exercises strengthen the pelvic floor muscles and keeping a log with your bladder activity will almost certainly educate the patient by learning how and when their neurogenic bladder acts up. The use of catheters is a logical choice for the management of the consequences of neurogenic bladder, specifically urinary incontinence. Depending on your current lifestyle or type of incontinence, the choice for intermittent catheterization or indwelling catheterization should be made with the consultation of a medical practitioner or healthcare provider. Catheterization consists of inserting a catheter through the urethra and into the bladder for the purposes of draining urine. In other instances, catheterization may be done directly into the bladder via a small incision made above the pubic bone, behind which the bladder dwells. The latter procedure is called Suprapubic Cystostomy or Suprapubic Puncture. For more on the differences between both methods, check out our article on the subject. Medications alone will not cure neurogenic bladder. Rather, the medications listed assist with the symptoms experienced during neurogenic bladder since phincter specific muscles cannot be targeted. Your doctor may prescribe medications that induce either muscle contractions or muscle relaxation depending on your neurogenic bladder’s behavior. – Bladder Augmentation: This procedure adds intestinal tissue to the bladder. The result is increased bladder capacity. Due to this functional reservoir, the effects of incontinence and enuresis are decreased. As is the case with any surgical procedure, risks include: metabolic acidosis, urolithiasis (bladder stones) and in extremely rare cases cancer of the anastomotic site. -Artificial Sphincter : These medical devices prevent urine leakage from a poorly functioning bladder sphincter. Artificial sphincters can be relaxed for voiding or they can contract to prevent unwanted release. This option is often times used to treat urinary incontinence in men. Some risks include: Urethral damage, failure of implanted device thus requiring another procedure to remove the artificial urinary sphincter and in some rare cases, worsened urinary incontinence. -Urinary Diversion (urostomy): Here, a stoma is created. The stoma would then void into a urostomy bag/pouch where urine is then drained once the pouch is filled. -Electrical Device implant: This is a medical device implant that sends electrical impulses that stimulate the muscles of the bladder. -Bladder Neck Reconstruction: Several studies have shown that this surgical procedure is unpredictable for incontinence related epispadia repair. While it is considered a very safe operation, it will most likely be accompanied by catheterization and other incontinence management techniques.